We are planning to hold The Global Karate Tournament in 2013. 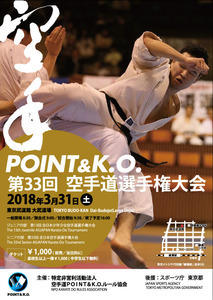 We would like your help and cooperation with the event so that all the excellent Karate athletes from all over the world may get together to fight in order to raise Karate high in esteem as Budo and sport. Please let us know your address so we will send you formal papers related to the Tournament.